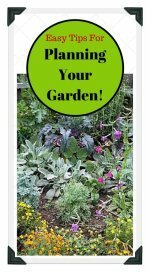 :earn how to make sauerkraut from home-grown cabbage in easy steps! 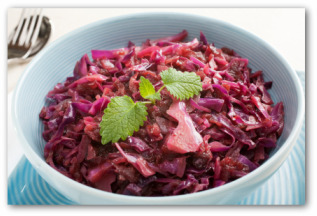 Try our delicious smoked pork and sauerkraut recipe that we have also included! According to 2005 statistics, 50 million Americans have German ancestors. With this high number, chances are your parents or grandparents know how to produce sauerkraut. Whether you are nostalgic for a taste of your Grandmother's cooking or want to share with your family unique dishes, there is no comparison between store bought, and homemade crunchy, tangy sauerkraut. Shred the cabbage and sprinkle with the salt. Knead it well until you begin to notice the juices. 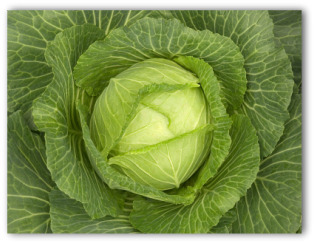 Arrange the cabbage in layers. As you make the layers, press down firmly with a wooden mallet or potato masher to promote fermentation. Repeat this layering procedure until you 4-5 layers. Cover the sliced cabbage with clean cheesecloth, then a plate that fits closely inside the crock. The juices must rise up to cover the cabbage completely. 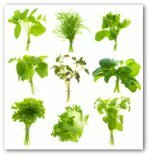 As little air as possible, preferably none, should reach the surface of the juice. Top the plate with a heavy-duty plastic bag filled with just enough water so it will expand over the surface of the kraut in the crock. The watered filled bag will weigh down the mixture underneath the brine and exclude the air. Cover the pot with a towel that reaches down the sides of the crock. Place the crock in a fairly cool location of around 65 degrees where the kraut can ferment. 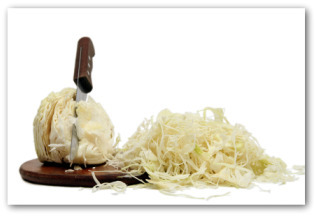 Check the sauerkraut frequently to make certain the liquid is covering the cabbage. Scoop the filmy layer that forms off the top. After checking the mixture each time, use a freshly scalded replacement plate and new bag if necessary. Sauerkraut is ready when bubbles stop forming, usually in 2-4 weeks. 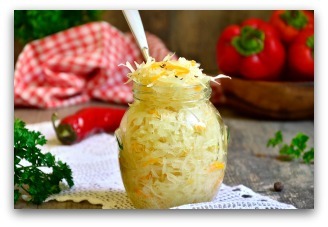 Now that you know how to make sauerkraut, how can you best preserve it? 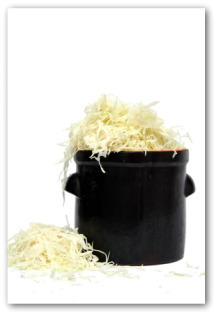 To preserve sauerkraut, it can be frozen or canned. Freeze sauerkraut in freezer bags, or can it using the raw pack method. For the raw pack method, fill your canning jars with sauerkraut and liquid, leaving ½-inch headroom. Tighten on jar lids, process pints for 15 minutes, and quarts for 20 minutes in a boiling water bath. Authentic Reuben sandwiches are made with mounds of mouthwatering sauerkraut. Sauerkraut, pork sausage, and mashed potatoes make a delicious fall or winter meal. 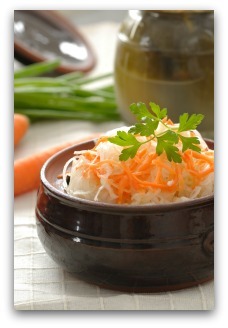 As you discover how to make sauerkraut, you will want to try your hand at other tasty recipes. Luckily, we have a scrumptious one just for you! Put pork loin in pot to boil. Add boiling water barely enough to cover the meat along with the bay leaf, peppercorns, and spice. Simmer. Allow 15 minutes simmering time per pound. If loin is small, allow 30 minutes per pound. When pork is done, let cool in water in which it cooked. Place in baking pan and bake at 425 degrees oven. Baste with wine; add sugar while basting. Lower heat to 350 degrees. Cook 25 minutes, allowing meat to brown, until glazed and shiny. Mix sauerkraut, grapes, and juices from the pan. Arrange kraut mixture around pork. Serve pork loin with sauerkraut and burgundy sauce. Heat onion, wine, jelly, and herbs together. Cook slowly until liquid is reduced.Add brown sauce; boil until slightly thickened. Strain; add butter.Makes about 1 ¼ cups sauce.